The heaven’s are kind of quiet, as far as changes in planetary position are concerned, so I wanted to take a little time and talk about numerology, astrology and energy. You’ve heard me, among many others, talk about the fact that everything – no matter how solid it appears – is merely energy vibrating at different rates of speed. I’ve also talked about the influence of the vibration of music, our emotions, and even power lines and other forms of energy in our world. There’s so much more. We are living in a time when we need to see how all these things are connected and how they make a difference in how we live our lives. It’s important now to consciously recognize why you are down one day and up the next so that none of us continues to be a feather in the wind – just blown along on the currents of the wind with, what we have believed up until now is, no control over where we go or how we get there. There are many tools with which to accomplish this, but I want to talk about two that are near and dear to me – astrology and numerology. Astrology and astronomy used to be one science. Even though they became separate long ago, the fact remains that astrology is a science using the math to personalize the influence of the planets on a particular person through the date, time and place of their birth. If the scientific community will accept that the Moon has an affect on the tides of the Earth, why is it so far-fetched to believe that the other planets and bodies of our solar system have effect each one of us on an individual basis? Why do I bring this up? 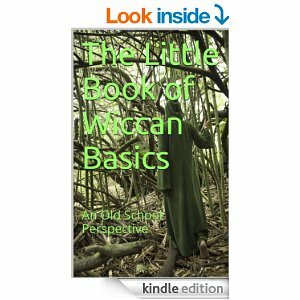 Because right now, it is ultra-important for each one of us to get to know ourselves and why we made the decision to be here at this particular time in, not only the history of planet Earth, but the spiritual evolution of the human race. How does one do that? Well, having a natal astrology chart done and studying it – in other words, studying oneself. You can take this even further if you recognize that numbers also have a vibration and breaking things down to their numerical value can give you the vibrational importance of that item as well. 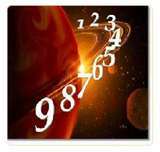 The numerical vibration of your birth date, your birth name, your current name, even your house address, phone number, etc., can all give you insight into the path you are walking and how to change or improve the quality of your life. What is really cool is the fact that, more often than not, numerology and astrology will corroborate the findings of each other! I never realized this until, many years ago, when I was learning astrology, did my own astrology chart and then later got interested in numerology and did a complete analysis of my name and birth date. It was amazing! In many instances, the two were saying exactly the same thing. So, here’s my bottom line to all this: Life is not a hamster wheel. There is a purpose to each of our lives. If you have yet to learn what that purpose is, no matter what your age is, then believe me when I tell you there are two important tools that can help you find that purpose and get off that hamster wheel. Those tools are natal astrology and numerology. If you are unhappy with your life, have been wondering what your life is all about, or just curious as to what vibrational influences you gave yourself to work with in this lifetime, do yourself a huge favor and have your astrology chart done and then have your numerology done. You’ll truly be glad you did! I want to start with a reminder that we still have two planets retrograde: Saturn in Libra is retrograde and Pluto in Capricorn is retrograde. Both will remain retrograde for the remainder of the month of May and part of June as well. Retrograde planets, as you know, bring the lessons and the possibility of working out karma. In the case of Saturn in Libra, there are lessons about maturity in decision-making, responsibility to others, sound judgment, being a peacemaker, and keeping ones balance. Pluto in Capricorn gives us the opportunity to work on such things as transformation through persistence and patience; reaching even higher for your goals and dreams, using practicality as a tool; or maybe it’s time for some cleansing and healing in order to regenerate yourself in order to continue on your journey. Many might view retrograde planets with a grimace, believing them to be a form of punishment. I choose to look at them as energetic opportunities for me to change something that no longer serves me. I hope you will choose to view and use them that way as well. We have a Full Moon occurring in the sign of Scorpio on Tuesday, May 17th at 7:09 a.m. EDT. Full Moons are always filled with energy to use for constructive purposes. This one, with the Sun still in Taurus, offers us the possibility of creating a flow (Scorpio is a water sign) of money, love, beauty or any of the other things Taurus represents. An awareness of possible negative energies often allows us to avoid getting entangled in them. 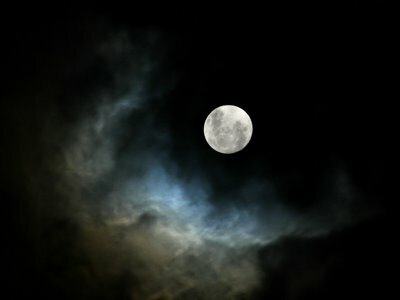 For this Full Moon, the energies of jealousy, anger, possessiveness, revenge along with the possibility of overindulgence in food or drink need to be watched. Remember that these won’t necessarily be generated by you, but others may either try to involve you in them or direct them towards you. Hey, just keep your vibes up and focus on that abundant flow of wealth, love and beauty and you’ll be fine! It’s time again for the Sun to enter the next sign on its annual journey through the skies. This time it’s Gemini. That takes place on Saturday, May 21st at 5:21a.m. EDT. If you aren’t a Gemini, or don’t have it as a prominent influence in your chart, then recognize that this is a time of communication (in any form), travel (in any form), and learning. 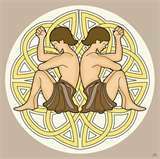 Gemini, whose symbol is the twins, asks us to look at both sides of any situation now. It’s a good lesson in stepping outside of your own point of view and learning to look at it from another’s perspective. Mercury, the planet that rules Gemini and who is the messenger of the Gods, is about swiftness. For some of us, this transit of the Sun can teach us about impatience, especially with those things over which we have no control. It can also teach us to trust our first thoughts, stop second-guessing ourselves, and act more quickly before opportunities pass us by. Gemini natives may seem a little elusive, not being willing to be pinned down to an opinion. Part of that is the mutability of the sign and maybe even the influence of the “metal” assigned to them, mercury, which is not a solid as most metals are. You will find them witty, intelligent, and very talkative. Remember that there is two sides to any Gemini native and they may keep that second side hidden inside or they may, at times, give the appearance of being Dr. Jekyll and Mr. Hyde. As I close this issue, I want to reiterate that I am totally open to your comments, both pro and con, on any of the subjects I write on. I would love to hear from you. If you are interested in having an astrology chart or numerology work done, please check out the Services page under “Merchandise”.